The Diocese of Leicester is one of the most forward-thinking regions of the Church of England with regards to its people development. Coaching is offered to people moving into new and demanding roles, coaching skills are developed across the Diocese and there is increasing investment in people management skills development. As the Diocese were looking to deliver a more professional culture of people management and coaching, we were asked to support them initially with coaching and coaching skills development. This was a very handy combination as the coaching of individuals across the organisation enabled us to understand far more about the culture, roles and challenges people were experiencing. When it came to delivering a Challenging Coaching Skills Programme a few months later, we were prepared with examples that we knew would be relevant to the audience: gaining greater buy-in and ease of application of learning. We understood that the pervading attitude was that it was good to be nice to people, so we needed to show how this attitude could fit just as well with challenging coaching. A challenge in itself, but one that worked well. The feedback was great and has fuelled further learning in our work with the Diocese since. 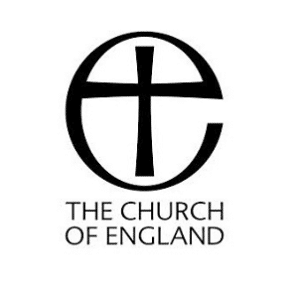 Since this starting point of work with the Diocese of Leicester, we have expanded our work out to the Diocese of St Albans and the Diocese of Chelmsford. We support with meeting facilitation, skills development for external consultants running the Ministerial Development Reviews (something close to a performance appraisal, though more developmental in focus) and coaching. We have worked with Totem on the areas of line-management and challenging coaching over the last 12-18 months and have been very impressed – impressed enough to expand the work we have asked Totem to undertake with us. Some of the distinctive characteristics of Totem include a careful listening to us as clients and a rare willingness to genuinely tailor their input to our specific needs. We have observed a high level of ability, relational insight and delivery ‘savvy’ in providing training to a wide range of people of varying skill-sets, motivation and insight, all the while modelling that which they are looking to cultivate in others through their work. This goes along with a thirst for feedback on the work they provide and an openness to learning which models the approach they seek to encourage. The aims we set for Totem have been ambitious – to contribute to our development of a robust and professional culture of managing and coaching others – and Totem have undoubtedly achieved all that we have asked them for here. We would definitely recommend Totem to others and we would certainly look to work with Totem in the future, both for the reasons mentioned above and for their professionalism, adaptability, unfussiness and quickly acquired sensitivity to our organisational culture.